Can I return Driver Turbo if I am not satisfied? It’s very important to us that you’re happy with your software purchase. If you are not satisfied you may ask for a full refund within 30 days. Our money-back guarantee is in full effect for all orders. Your satisfaction is our #1 goal. If you have any questions or need help, please contact our Driver Turbo Support Team here. 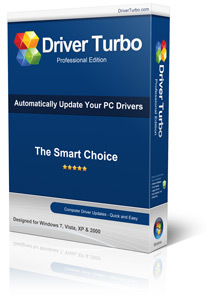 Driver Turbo will not only save you time and money, it can keep you from installing the wrong device driver on your computer.